I like being able to run reports based on birth date, active client or prospect, and turning 65. The reports are great for mailings and calling to remind clients of upcoming events. That we can't turn off certain tabs that we don't use making adding an individual a little more time consuming. It feels like you do a lot of clicking around on certain tabs. It is a great software for Insurance needs. It allows you to house all your clients information in one location. It also allows you to run reports for mailings and data collection. I would recommend this product to anyone. We are able to upload any documents to an individuals account therefore making our clients folders complete and accessible anywhere. Attaching documents to different policies is a huge plus for our business. Also we like being able to pin future events and reminders for ourselves about work that needs to be done or clients that need to be called. "Amazingly Simple, Robust and Growing with New Features"
AgencyBloc's team is continuously seeking to improve their software and truly value their clients feedback in doing so. Their most recent upgrade launched yesterday is a summary column that shows the key details about a clients status on the right side of the screen. And I mean all the key details that we previously had to click through the tabs to find out. Now they are all in a central place, front and center. It lacks Zapier and other integration support. They need to build a Zapier integration so we can leverage it with our marketing and agency systems. Commission reconciliations are significantly better than our old way, however, they do need to get the "rounding" figured out. There is often times .01c that doesn't round and causes us to manually go into those line items and assign the penny to the agency so the books balance. Unless carrier downloads are a requirement for you (which AB does not support), this is the only software I would recommend and we have tried many packages. Besides, they are priced right and care about their clients. They actually listen to agents who give legitimate feedback to help the system grow. The other companies we've checked into aren't really interested in hearing this. Commission tracking, policy tracking and automation for activities is great. What Life & Health Insurance Agency Management solution do you use? AB is great for keeping up with client records as well as keeping up with action items to be completed for clients. The due date function and, easy-to-navigate dashboard are two of the best features. There's no easy way to create to-do's to be completed within the program, and so our company had to come up with our own specific system for logging outstanding tasks. This is not a dealbreaker, but having a built in to-do system could be a great addition to the program. Definitely do your research into the product, and if you decide to pull the trigger on it, develop specific processes based on the needs of your office in order to keep everything organized. It's a great database for critical information, but its value is based on discipline and clarity of procedure. AgencyBloc lets us stay on top of client concerns and keep up with what needs to be done to meet their needs. Its note-taking system is incredibly important, as it allows anyone in our office to complete tasks by picking up where the previous person left off. We keep our clients happy and ensure that everything is running smoothly with their policies. "My experience with AgencyBloc has been excellent"
Having our clients policy information, copies of applications, and records of correspondence available, with just a few keystrokes, is amazing. Searches are still a little basic. Having a more in depth ability to search would be ideal. No more searching through paper files. Client information is always available, when needed. "AgencyBloc is a great way to track current business and control leads." It is a very good way to keep track of business and prospects, but not easy to get answers from AgencyBloc. Tracking commissions is not convenient. Seamlessly tracking activities with clients. Good notes and activities entered make it easier to handle issues. "Use agency bloc for our customer database"
Able to search individuals and have access to policy information. Would like easier access to attachments. Great tool for maximizing current client potential, as well as creating future sales. Able to run reports for future sales. Also able to create customer lists for different products or locations. * We monitor all AgencyBloc reviews to prevent fraudulent reviews and keep review quality high. We do not post reviews by company employees or direct competitors. Validated reviews require the user to submit a screenshot of the product containing their user ID, in order to verify a user is an actual user of the product. Hi there! 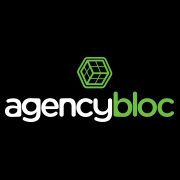 Are you looking to implement a solution like AgencyBloc?